Here is the moodboard we started with. 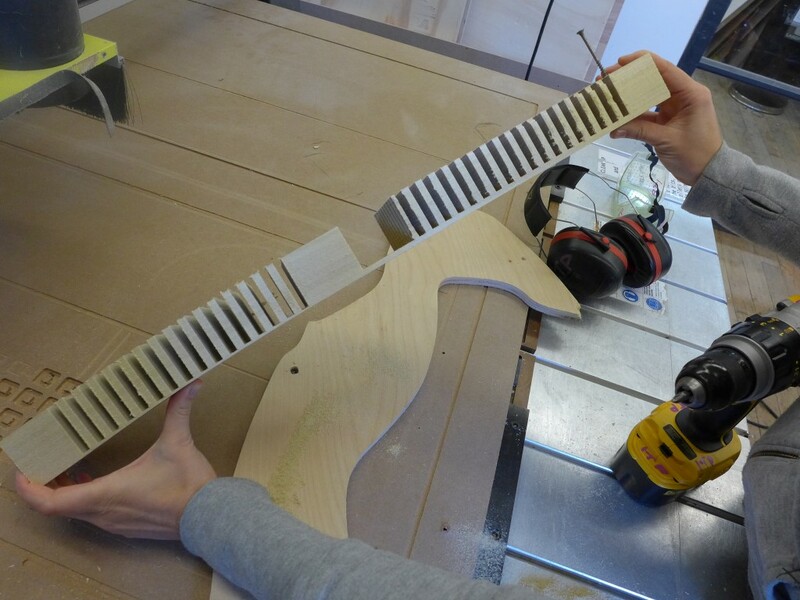 We wanted to create a wearable made of bent wood. We made a test with a 6x1x2 piece of poplar wood. The kerfing pattern was simple, only straight lines. We had to secure the piece of wood by screwing it to another piece. 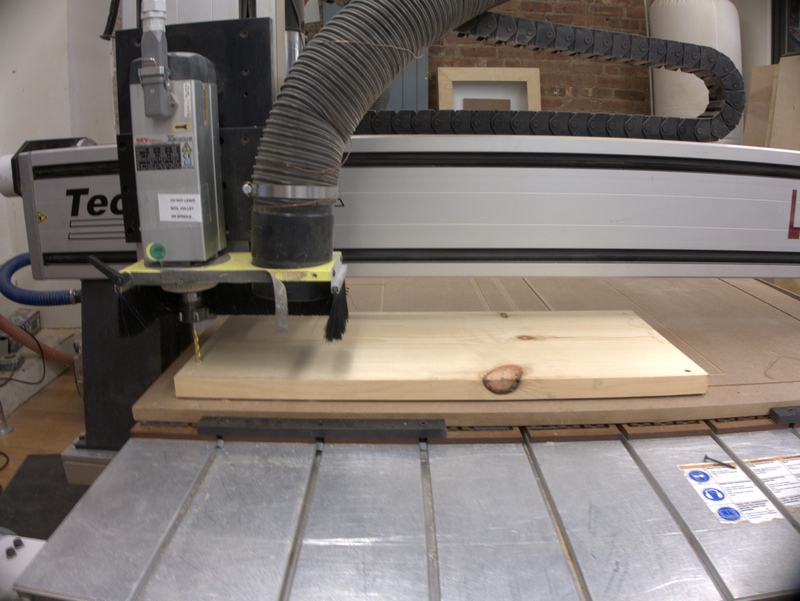 That was, the wood we were cutting was not affected by the curves of the CNC bed which is not totally straight. We made an illustrator file made of rectangles of different thickness that we tried to pocket. 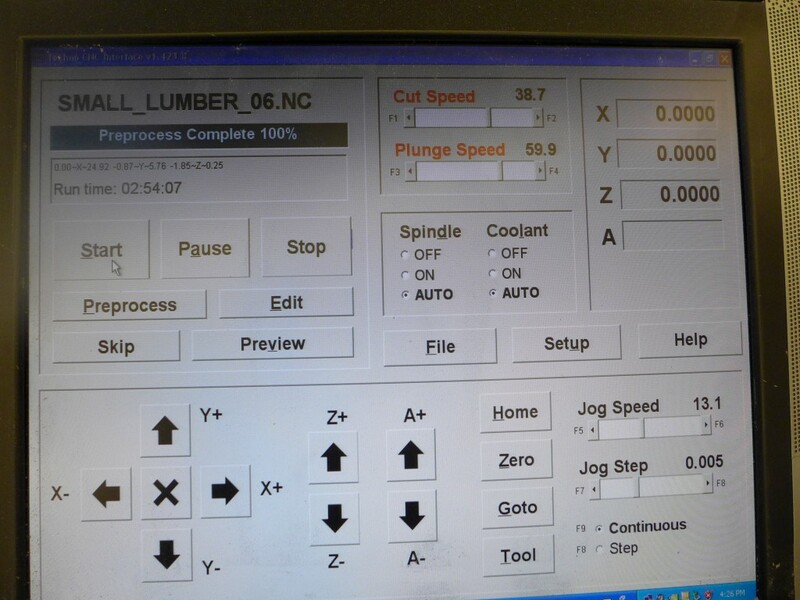 But the small rectangle were smaller than twice the diameter of the 1/4 inch bit, so MasterCam returned errors. So we changed to a file made of only lines that we would “Contour” instead. That worked. To pocket those lines, it took 3 hours. 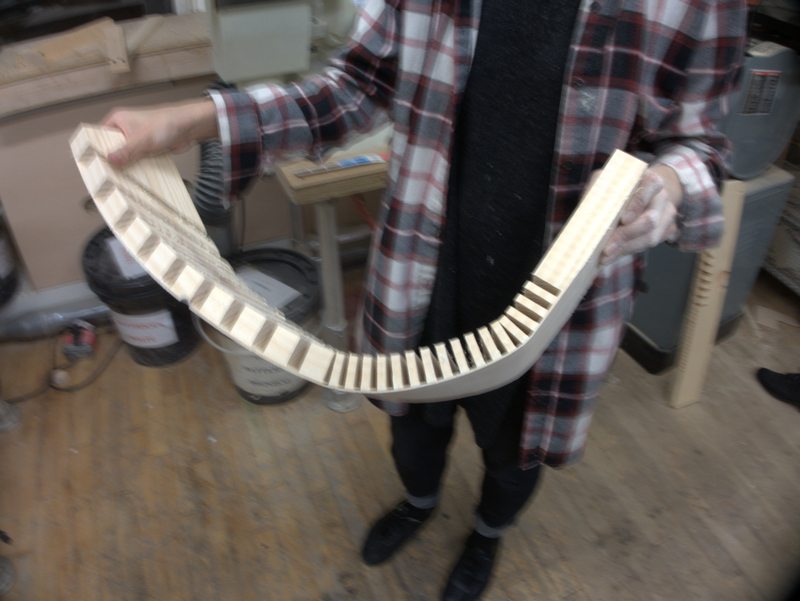 We “Contoured” the lines leaving a 1/32 layer of wood at the bottom to keep it into a single piece and bend it. 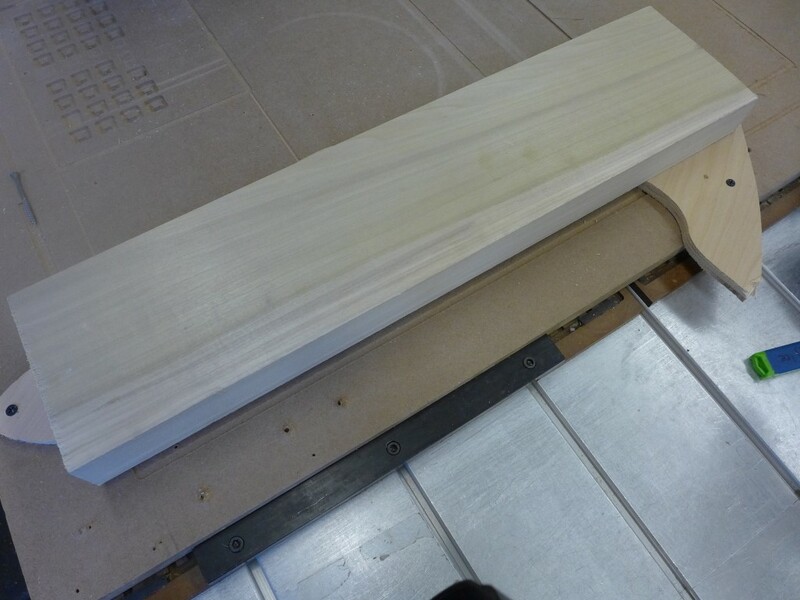 we realized half way that our larger pocketed sections were too large, so we stopped the job half way. 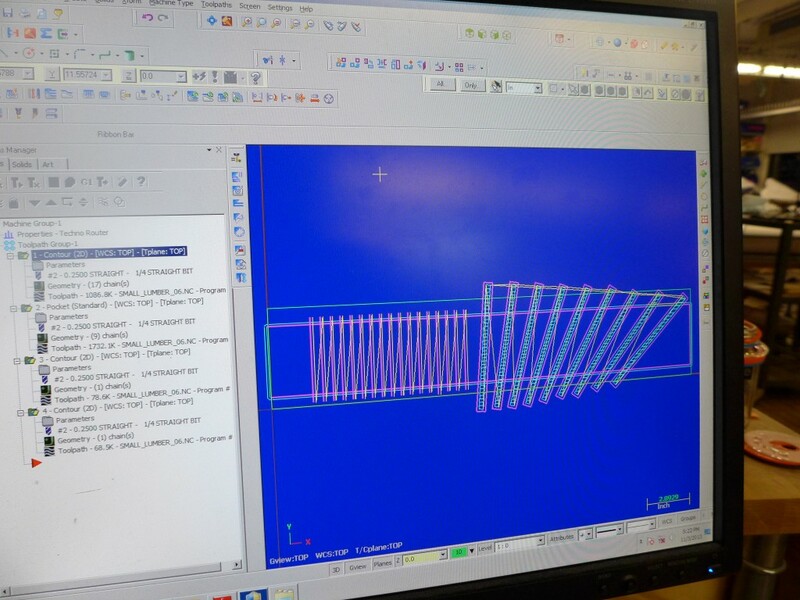 We then “Contour” lines but leaving only 1/8 instead of 1/32, so the remaining layer would be thinner and would bend more. 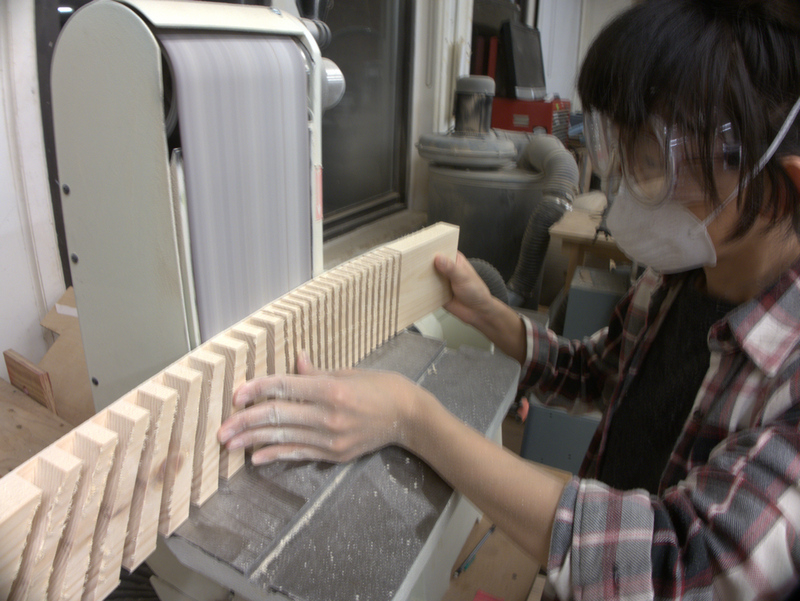 You can see that the bending is happening where we left only 1/8 as a bottom layer. 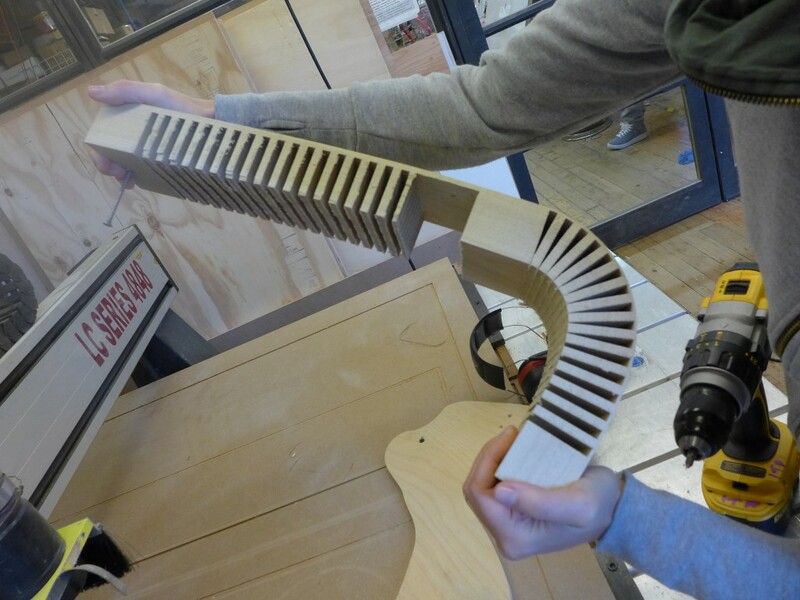 We made a test with angled lines to see if they would allow to curve more and give an interesting shape to the wood. We tried the same file as before but with pine. 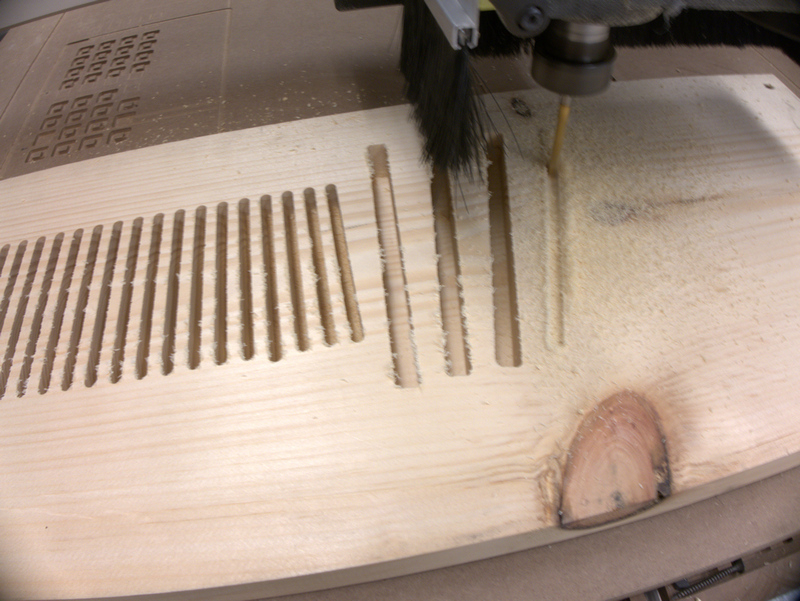 We bought larger wood so we could cut out the outline of the shape we want to prevent the parts to break. As the wood is not totally flat, we had to calculate the depth according to the thickest part of the wood so it would not break through. Because the wood is not straight, the bottom layer is not even. So we have to sand it the get rid of the the thickest parts and even it. You can see that pine bends more! 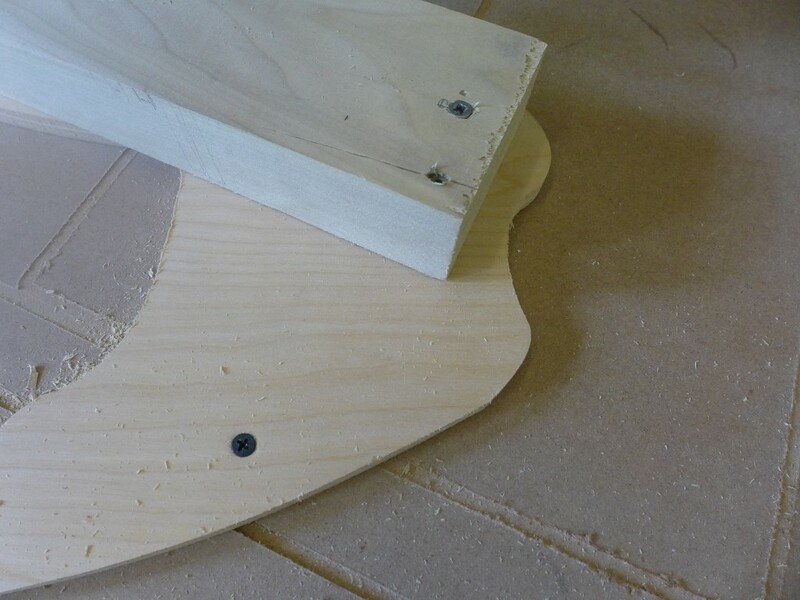 We now made tests with larger pine so we could curve it and form the collar shape around the neck. 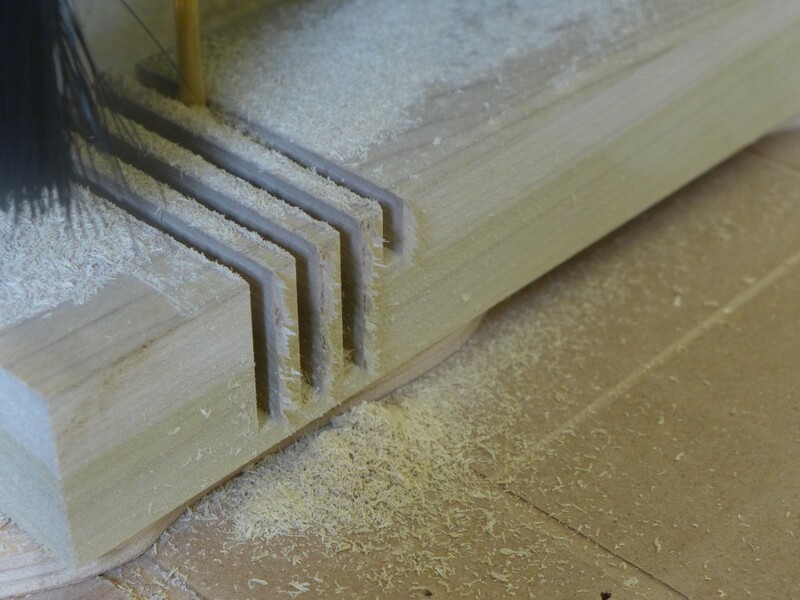 When the Router started to cut the outline, the point of the shape broke because there was a knot. The knot parts are really rigid and do not respond well to the bit. They come off as one. We still could try the bending, which was disappointing at first. But we decided to soak the wood in water overnight to see. And after 9 hours in water it totally bends like we want. We wrapped it around an object to let the wood dry at least 2 days. Then We will see if it stays into place.